Opening the box I was greeted by a giant plastic note: “THANKS FOR BELIEVING”, you’re welcome I guess. Holy crap is this thing tiny! The console its self is about the size of a beer can around and 75% as tall, and a bit heavier (so, comparable to a short beer can full of sand?). It comes with a controller, 2 batteries for said controller, a 3 ft HDMI cable (this is awesome, I hate having to remember to buy more of these! NOTHING ever comes with one) and a power adapter. The console has 1 USB, 1 micro-USB, 1 Ethernet, 1 HDMI, and a power adapter port on its back side. It would be nice to have more USB ports for accessories but I’m sure it would work with a USB hub. After some quick and painless setup we were ready to go! It boots up a little quicker than an Android phone (but much slower than a 360 or PS3, it’s hardly a deal breaker though). I really like the interface layout. It’s minimalist and sleek (like everything else these days) and relatively easy to navigate. Why is the Software menu (to access all your non-game programs) located under the MAKE menu? I’m probably not going to be making anything when I just want to browse the web. The Software menu should be its own top-level menu! Why do I have to download, and then separately install games? How many people are going to download a game just to look at the icon? I’m guessing maybe 5. Why is the settings menu stock android? It really doesn’t make sense to have a battery menu when the system doesn’t use one, or to give users the ability to turn off Bluetooth, thus rendering the Bluetooth controller useless! This is just sloppy. Hopefully they clear out the useless settings in a future update. The game store interface is acceptable (about a million times better than the 3DS eShop! – see: Garbage) but loads images incredibly slow. This is probably a server issue and hopefully something they will fix in time. There appears to be no standardization for how/when you buy the full version of a game (nor any indication in the store if the game is totally free or what the cost is). It would be great if there was some kind of API making this the same across the board. As it stands, you have to wait for the game to ask you to buy it (or “donate” to it as some say) or dig around for this option in-game. Why has all the Google account stuff been stripped out? I get that they want you to install things from their own store, but it would be nice if you could connect to your Google account and grab stuff from the play store as well. 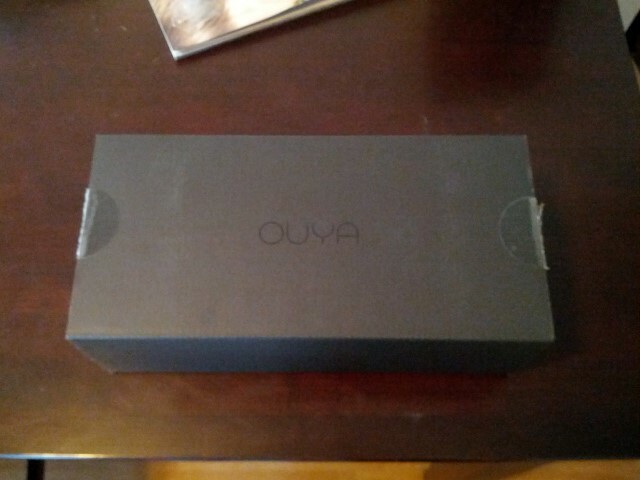 I’m guessing it would probably be a PITA to have apps certified on the play store for the Ouya separately. Maybe it’s on Google’s end? I’m not sure. Side-loading .APK’s to install apps yourself works fine so it’s a small gripe really. For some weird reason or another, the face plate on either side of the controller is removable to replace each of the batteries. It’s doable, but weird. It would make a lot more sense to me to place the battery compartment on the back (as pretty much every remote in history has done). What makes this a real issue though, is that the face buttons frequently get caught under the face plate when you press down on them. The buttons are slightly beveled, so it doesn’t take very much to get them stuck. I’m probably going to drill out the holes slightly larger because of how annoying this is… but I seriously should not have to do that. The controller’s the part everyone is going to be most familiar with. If you can’t keep it’s buttons from sticking 10% of the time people aren’t going to take your console seriously. I’m REALLY hoping they have a solution in place by the time the console officially launches. You can use other controllers with the system (which is often better) but not every game supports them. Maybe if I cover the buttons in Vaseline they’ll just slip on through? No Brakes Vallet – Such a stupidly simple, but hilarious fun game. You have to try and park speeding cars in a parking lot with very little braking power. Awesome. Vector – A side-scrolling parkour platformer. Really well made and fun to play. A Fist Of Awesome – A side scrolling beat em up about a lumberjack transported to an alternate dimension ruled by ruthless Bears. It’s incomplete, but I will be picking up the full game when it’s done. So much awesome. The Amazing Frog? – Ok I lied. This game is stupid, but it’s so stupid it’s kinda fun. You run around a 3d city as a bipedal frog trying to make sweet jumps. Definitely feels incomplete in it’s current state. One of the other big selling points of the Ouya is that it would be easy to manually install apps and root. I just can’t resist tinkering with things, so this is really great for me. Installing apps from outside the store is a breeze. Just download the .APK file you want to install from the web and launch it from your downloaded files menu.It then automatically shows up (in that stupidly placed) Software menu page. No problemo! I haven’t tried to root my Ouya yet, but it sounds painless enough. ES File Explorer – Necessary if you want to fine-grain mange the file system or easily download files from a locally networked computer. Netflix – A must have! Netflix is awesome and works really well on the Ouya. NOVA Launcher – A replacement launcher for Android that works really well on Ouya. A necessity if you want to manage your app layout. XBMC – An all around great media center app (especially for streaming videos and music from network shares). The android version is in early development but works really well for me so far. This is a must have. 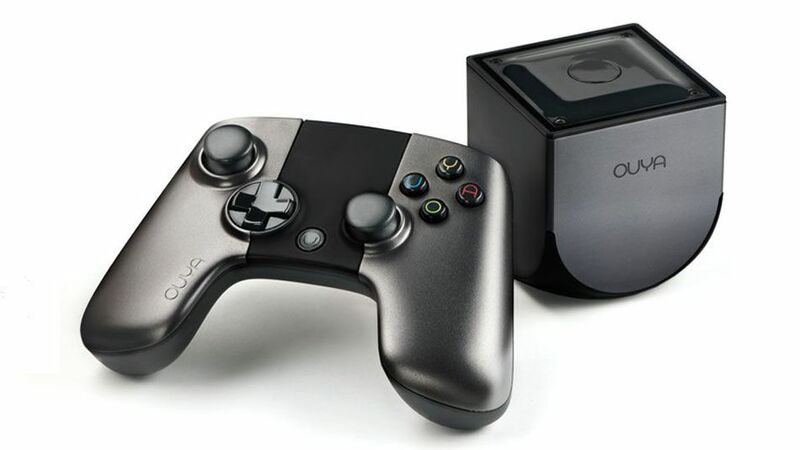 Honestly with XBMC and Netflix the Ouya makes a wonderful (and affordable!) streaming media box. It’s almost worth having one for those two alone. This review probably comes off as harsh, but I really do like my Ouya. There’s a lot of promise in this little box. However, there are some glaring issues in the UI and the controller that need to be sorted out before they’re available to the general public. Otherwise there’s just no way it will catch on. Hopefully they get all the kinks worked out and it gets tons of sweet games. BRING IT ON!